Thank you to all of the people that made White Heat a reality, it has been a huge project and I am very proud of the artists' work, exhibition design and our associated public programs. Without the artists - there would not be an exhibition to promote and programs to present. A HUGE thank you to all of the artists for their exceptional contribution to the project and their patience to have artworks travelling around three states and four exhibition venues. 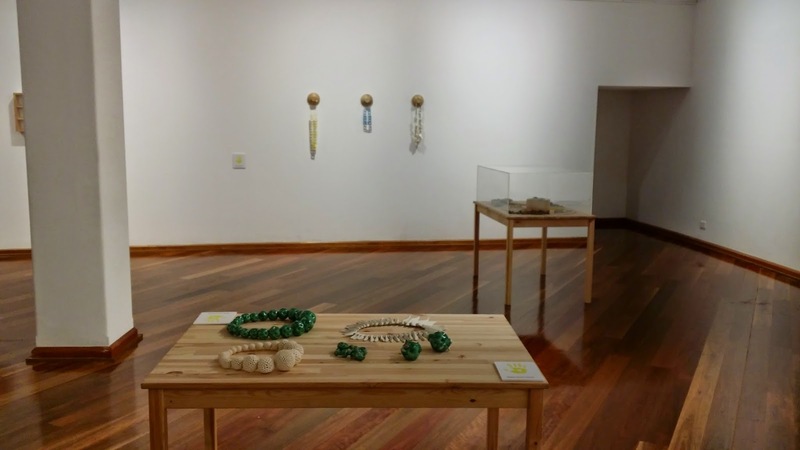 I would also like to thank our partners along the tour, Incubator Design, Australian Cultural Fund, Sydney Design 2013, Beaver Gallery, Gallery Funaki, Wollongong City Council and Vision Australia - Fairy Meadow Branch. We couldn't have realised our ideas without your assistance, encouragement and guidance. To all of our donors - thank you for your kind and generous support! Truly instrumental assistance with our four year project. From idea to realisation! There are a number of individuals who have given their time and energy to see the project come to fruition: Wayne Crosby, Bliss Jensen, Graeme Bannerman, Josh Morris, Chardae Jorgensen and many other friends and family members. I owe you all one! More likely two or three favours each! I will post an Exhibition Report in the next few weeks before I take a road trip across Australia - just for the fun of it! A holiday I have been looking forward to with much anticipation. 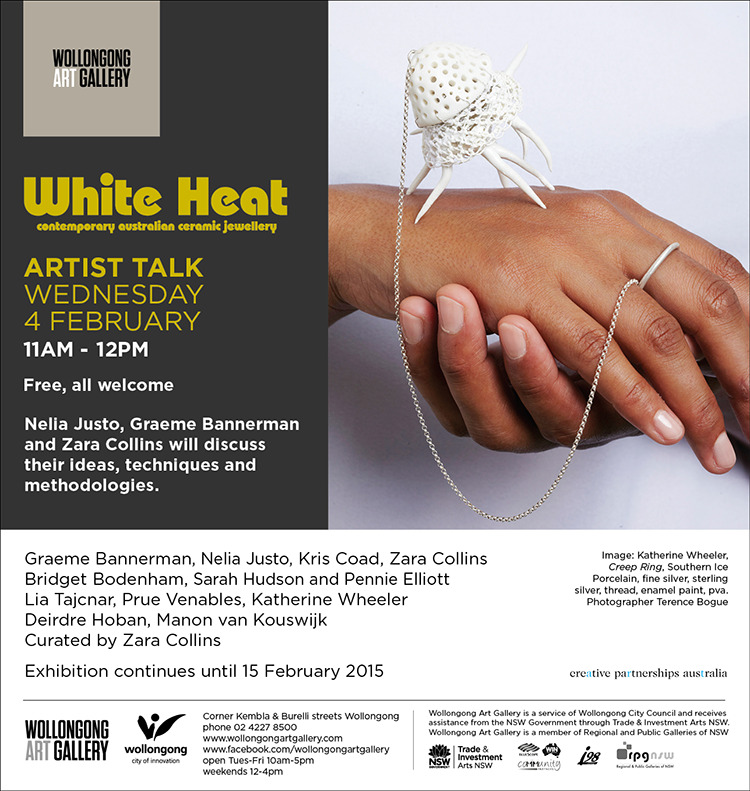 Please note this is the final public program for the White Heat - contemporary ceramic jewellery exhibition and project. Join Graeme Bannerman, Nelia Justo and Zara Collins for an informal chat about their ceramic work, their practice and the making process. 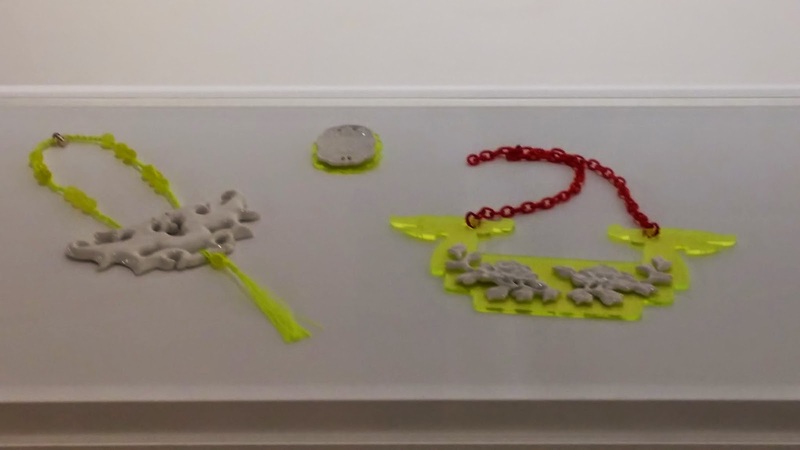 Thanks again to all of the wonderful participants, Wollongong Gallery volunteers, Vision Australia Management and staff and Wollongong City Council Community Development for this fantastic opportunity to design a ceramic jewellery workshop for people who are blind or have low vision. 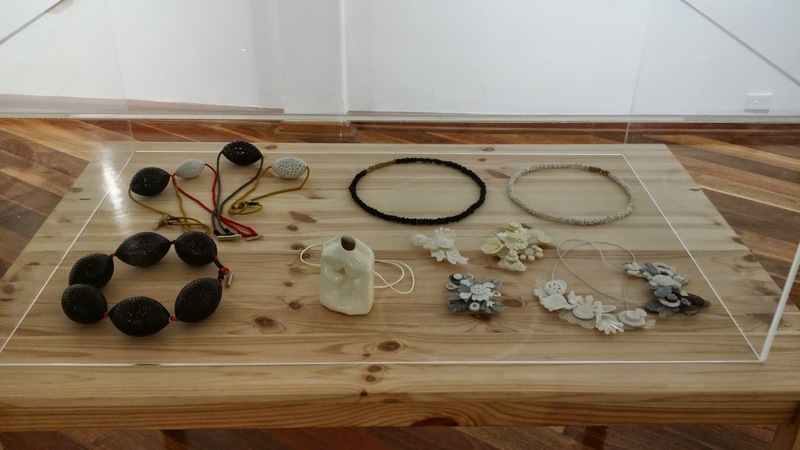 This opportunity has supported and hi-lighted the themes of tactility and audience engagement which is integral to the exhibition White Heat – contemporary Australian ceramic jewellery. 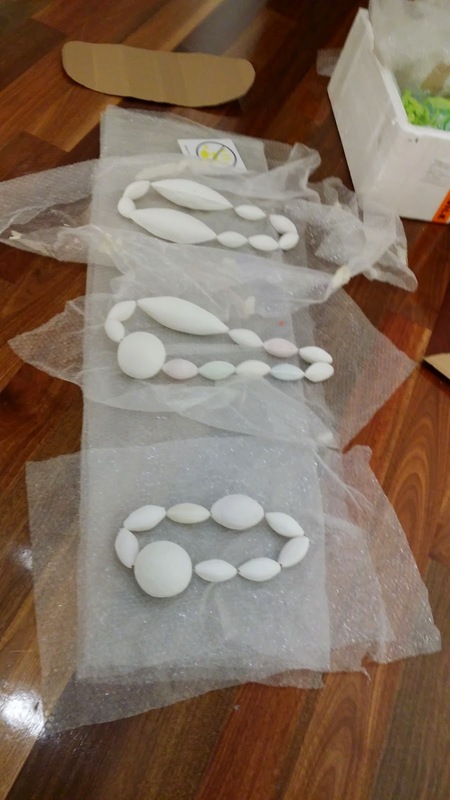 Thank you to Wollongong City Council Community Development and Vision Australia, Fairy Meadow branch for supporting the White Heat ceramic jewellery workshop on Friday 5 December. 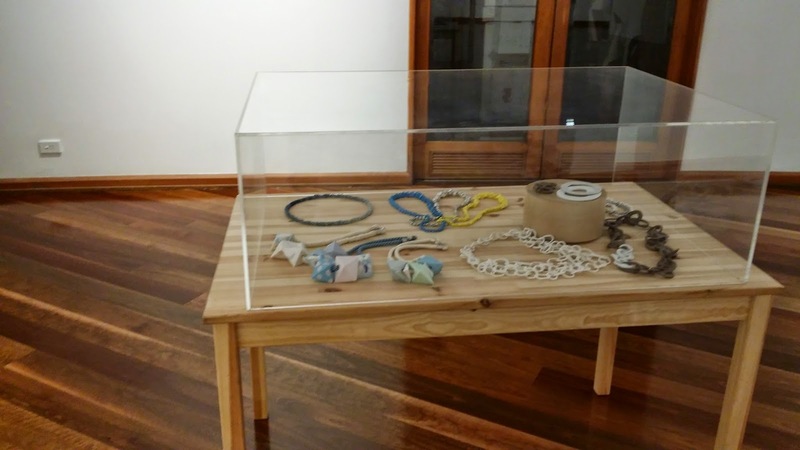 Thank you to everyone who popped into the opening of White Heat and the Touch Tour on the 3rd of December 2014. I was overwhelmed and thrilled to see such a wonderful turn out! Especially for the middle of the day on a Wednesday! And to top off a wonderful event WIN News Wollongong came into the gallery to film the last few minutes of the Touch Tour. Great day - many thanks to everyone who supported the project. Wollongong Art Gallery - looking good! What a lovely space to exhibit artworks in! I feel very lucky! 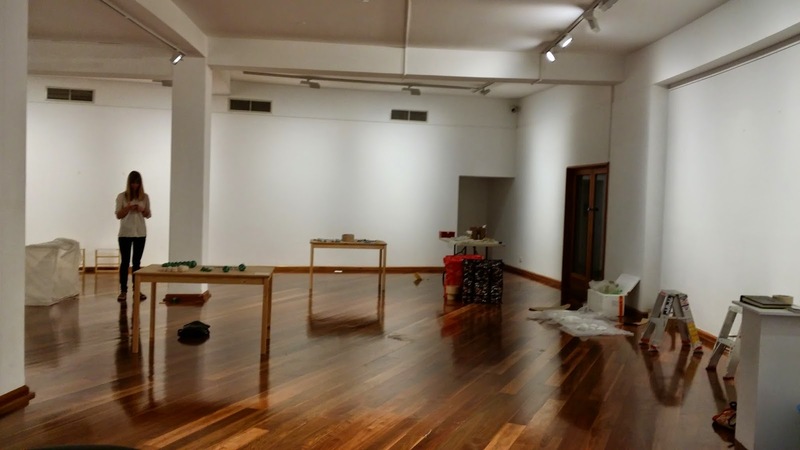 Here a few shots just before the opening of White Heat on 3 December 2014. Thanks to everyone that turned up for the opening, the Touch Tour - it meant the world to me! The wonderful surprise was WIN News popping in to film the tail end of the tour. Will try to get a copy of the TV News grab. Show runs through till 15 February 2014. 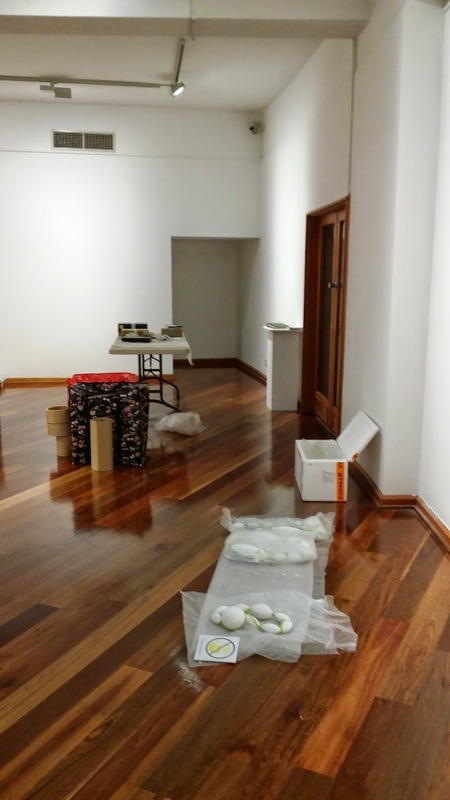 Thank you to all of the amazing Wollongong Art Gallery staff! Install went so smoothly and quickly! Here are a few shots from the installation process. A BIG thanks to Zuza who popped in for moral support too!